This is the second Traveler Dress I have made. The Lisette pattern (Leisl Gibson‘s grown-up line) is so well written and easy to follow that I was confident enough to use Liberty Tana Lawn. Just like with her Oliver and S patterns, Leisl adds lots of tips and tricks to help you make a really polished garment. I was nervous about making something with a collar, but I went slowly and carefully read the directions and ta-da! 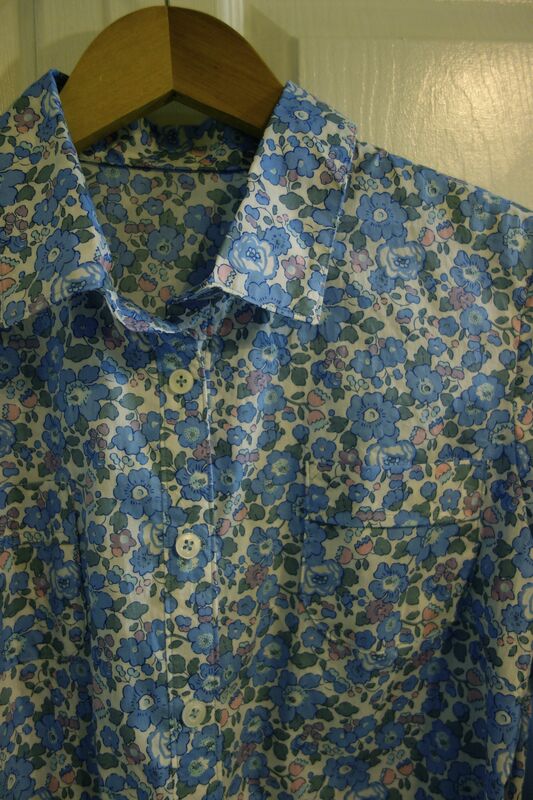 I am already thinking about making a chambray version! 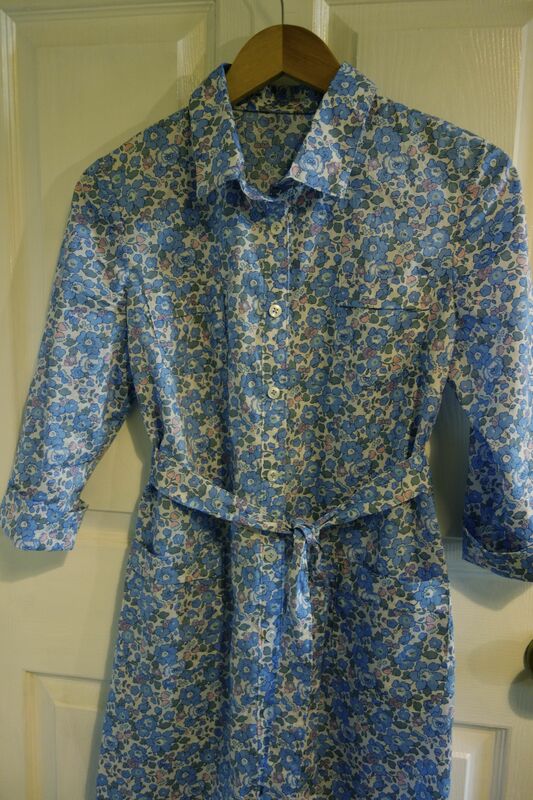 This entry was posted in other sewing and tagged floral dress, floral print, Leisl Gibson, Liberty of London, Lisette, Oliver and S, shirtdress on July 16, 2013 by brigitdermott. Beautifully done! Working on Tana lawn makes me nervous, too! Thanks, Lindy! Once I got over my nerves–and remembered to read the directions carefully–the fabric was so great to work with. It is much more sturdy than it seems for such a fine fabric. I’ll confess I had to rip out a seam or two and it held up really well! Well done! You’re a professional! Thanks for your very nice comment, Nicole!